Right now there is an exhibition taking place in Nogent-sur-Marne, France, about the French painter Ferdinand Gueldry. This is the first exhibition dedicated to the works of Joseph-Ferdinand Gueldry (1858-1945). 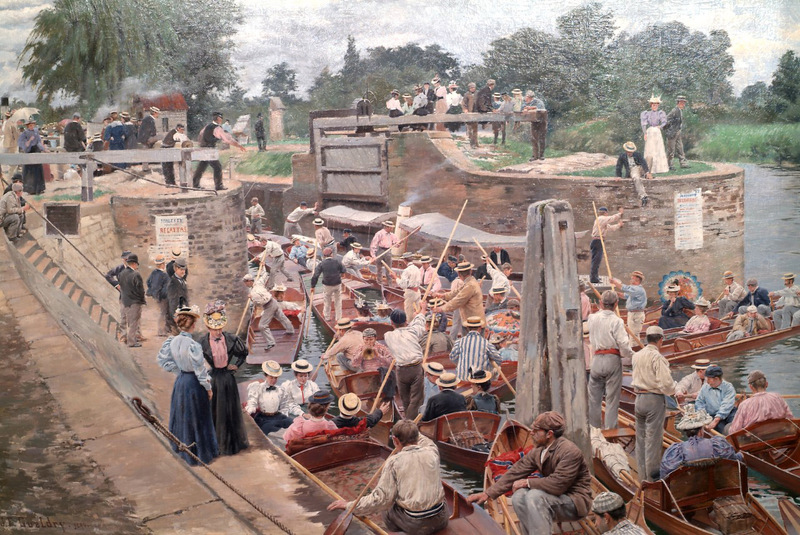 It was thanks to French historian Michel Riousset who made it possible by gathering these canvasses at the museum in Nogent-sur-Marne, located in the eastern suburbs of Paris, which saw the emergence of mass leisure and boating in the second half of the 19th century. 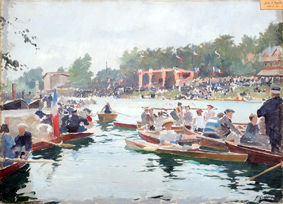 “Esquisse pour Un jour de régates” (“Sketch for Regatta Day”), oil on canvas, 1889, private collection. Ferdinand Gueldry was born in Paris on 21 May 1858. He started painting when he was 13 years old and became a pupil of the well-known painter Jean-Léon Gérome (1824-1904) at the school of Fine Arts in Paris. Gueldry began his career by painting factory workers, but his favourite themes were the banks of the river Marne and boating scenes for which he is renowned. Some of his paintings depict the river Seine or views of the Thames when he travelled to England. Indeed, he had several opportunities to cross the Channel as he was an international rowing umpire, but he also competed several times at Henley Royal Regatta. “L’écluse de Molesey” (“Molesey Lock”), oil on canvas, 1896, collection of Nogent-sur-Marne Museum. 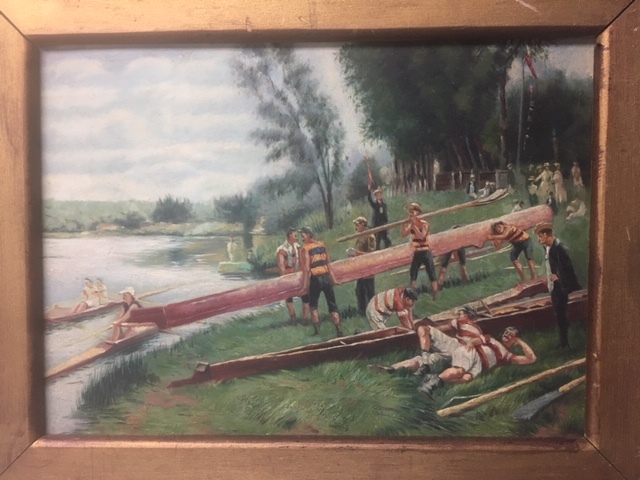 His artwork sometimes shows rowers in the clubhouse or during a race. His paintings also convey the leisure time spent by the water. Gueldry thus portrayed the competitiveness at regattas as well as fun time, the conviviality of the boating events. Being an avid rower, he actually co-founded the Société nautique de la Marne in Joinville-le-Pont in 1876, two years before his first exhibition at the Paris Salon of 1878. He continued taking part in the event until 1933. He won a series of prizes and was made a Knight of the Legion of Honour in 1908. “Mise à l’eau d’une yole” (“Launching the Boat”), oil on canvas, no date (1905), private collection. “Sur la Marne” (“On the River Marne”), oil on canvas signed lower left, 1906, collection of Nogent-sur-Marne Museum. 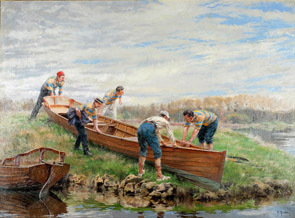 The white and blue colours of Gueldry’s fellow oarsmen, who wore striped jerseys, are easily noticeable in Gueldry’s paintings. His boating and river scenes, which are far from the academic subjects studied at the time, are amongst his most famous works. Gueldry’s love of detail and accuracy in representing the boats and rowing equipment of the 19th and 20th centuries is showcased through his work. 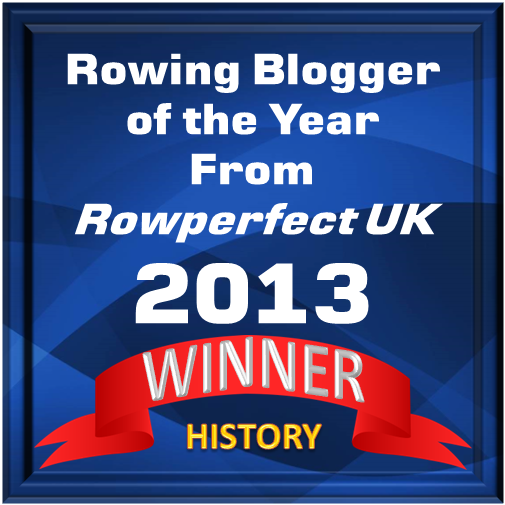 The number of rowing regattas growing fast, together with the technical innovations, captured the painter’s attention. 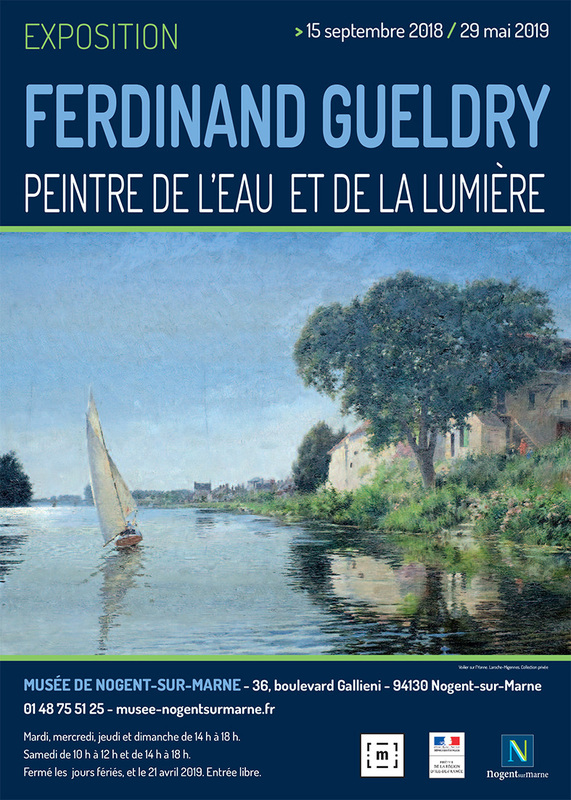 The exhibition “Ferdinand Gueldry, Painter of Water and Light” runs until 29 May 2019 at the Museum of Nogent-sur-Marne. If imitation is the highest form of flattery, then Gueldry appears to have attained that standard. This oil was offered to me a number of years ago as an original Gueldry. I quickly determined that it was not from his hand, but it was a competent and pleasing contemporary copy of his painting “Bords de Marne”, probably produced in the late 19th century, as suggested by the Frost & Adams 37 Cornhill and 32 Brattle Street [Boston] board on which it was painted, and the price was right, so it now hangs on my wall. The original is a decidedly superior piece! What beautiful pictures ! Wish I could get over to Nogent-sur-Marne to see them all ! Good question! Did Gueldry know Jerome is another question. When you see his painting of Molesey lock it looks like so. Do we know when Gueldry is supposed to have competed at Henley Royal Regatta or in which events? HRR’s index of competitors doesn’t list anyone by the name of Gueldry. A catalogue note from a Sotheby’s sale in 2006 claims that Gueldry “competed several times in the prestigious Henley regatta” but gives no further details. 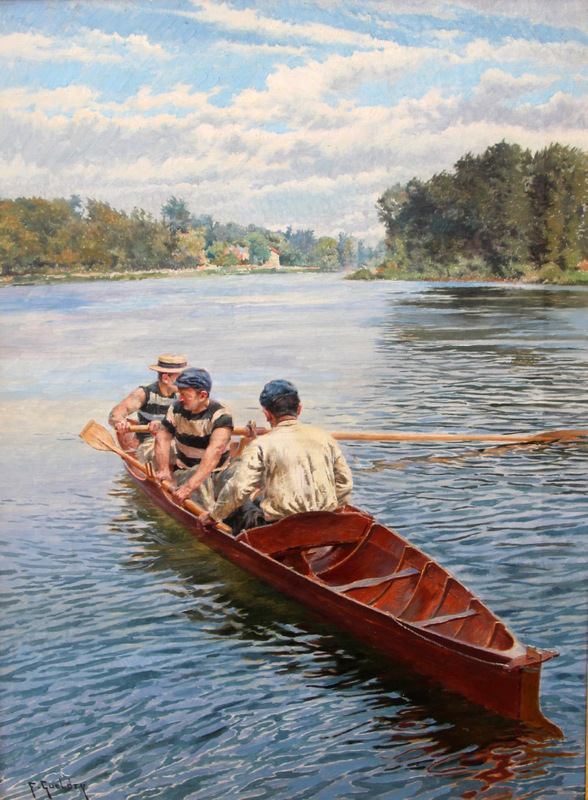 Gerome appears to claim an important place in the oeuvre of rowing art, as Thomas Eakins also studied with him. Gerome used to tell Gueldry he lost his time painting such subjects.